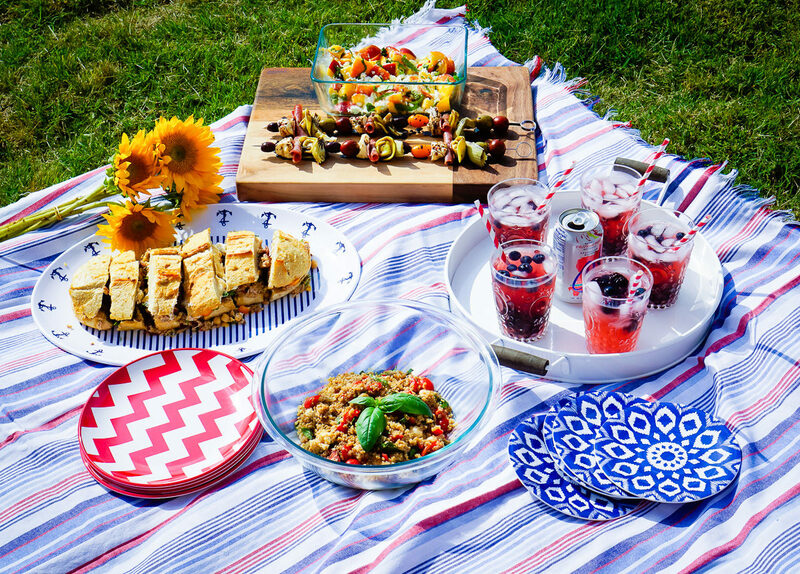 With Memorial Day fast approaching, summer is right around the corner and that means it’s time to start enjoying meals al fresco! 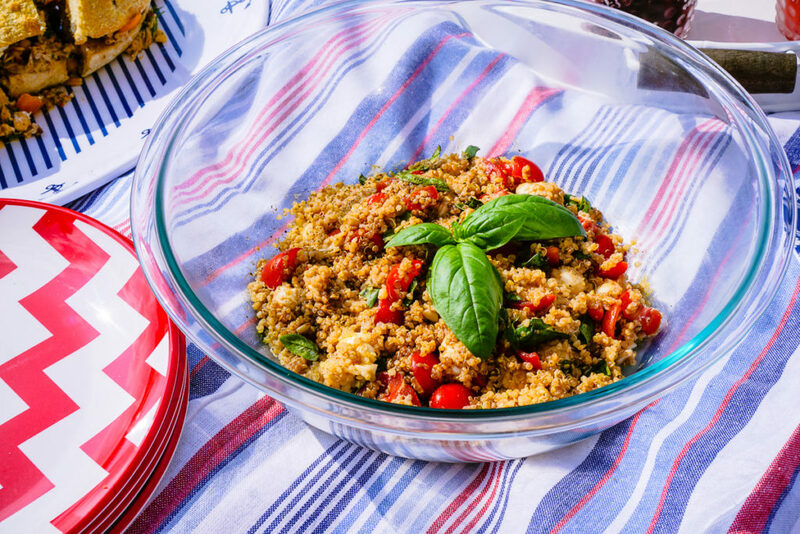 Whether you’re planning a backyard BBQ or a picnic in the park, we’ve created a few fresh and healthy summer recipes for you to try out. 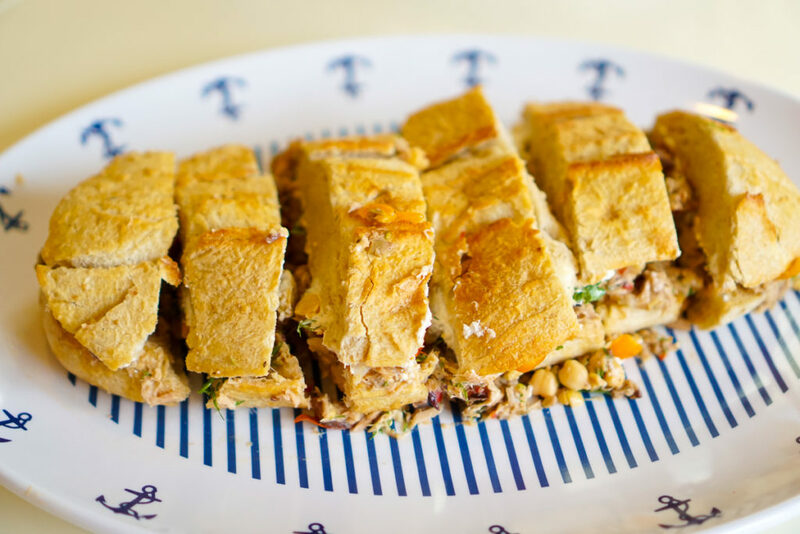 So gather your friends and family and bring your appetite, because these recipes are sure to please! 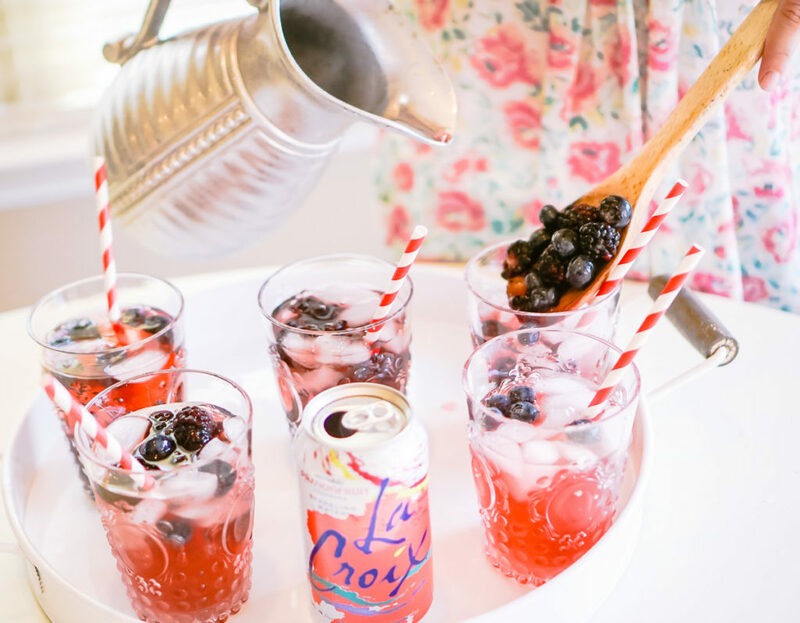 Pour the Moscato and Passion Fruit La Croix into a pitcher with ice cubes and stir gently. Add the blueberries and blackberries to the pitcher and muddle with a large spoon. 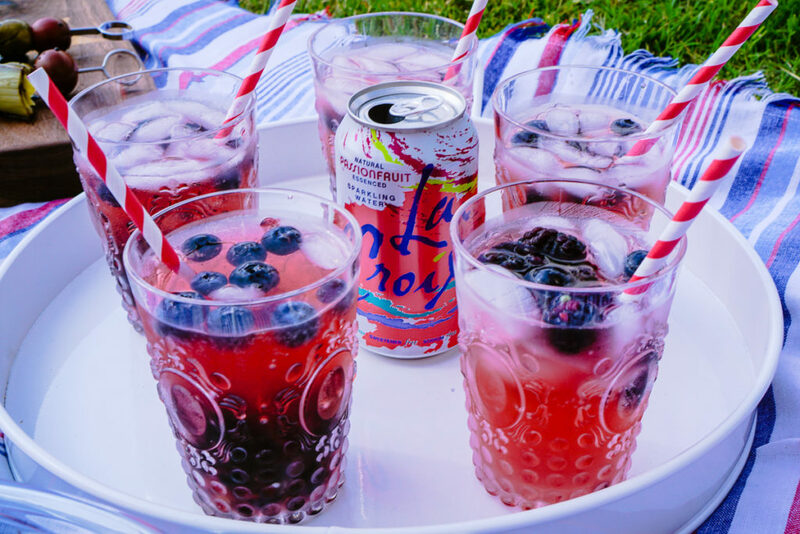 Fill each cup with the Spritzer and muddled berry mixture. 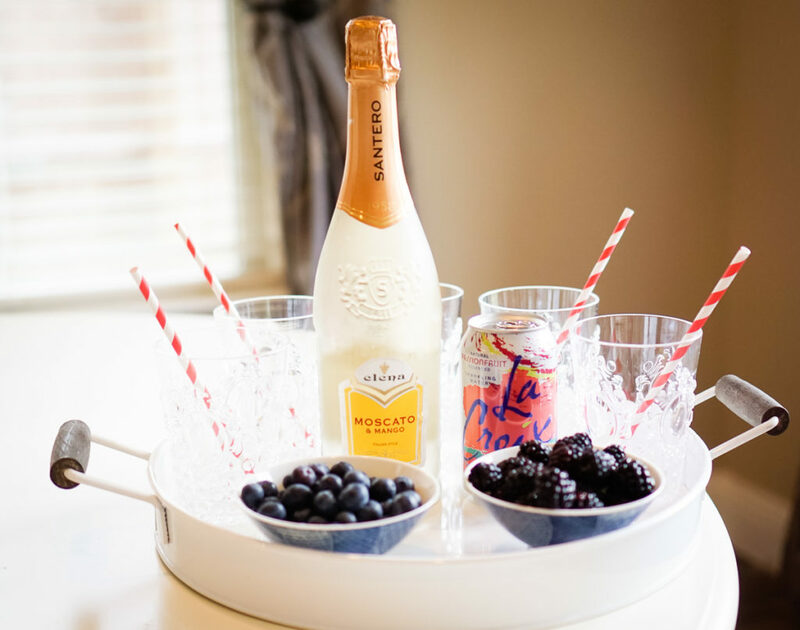 Add a few blackberries and blueberries to each glass for garnish. 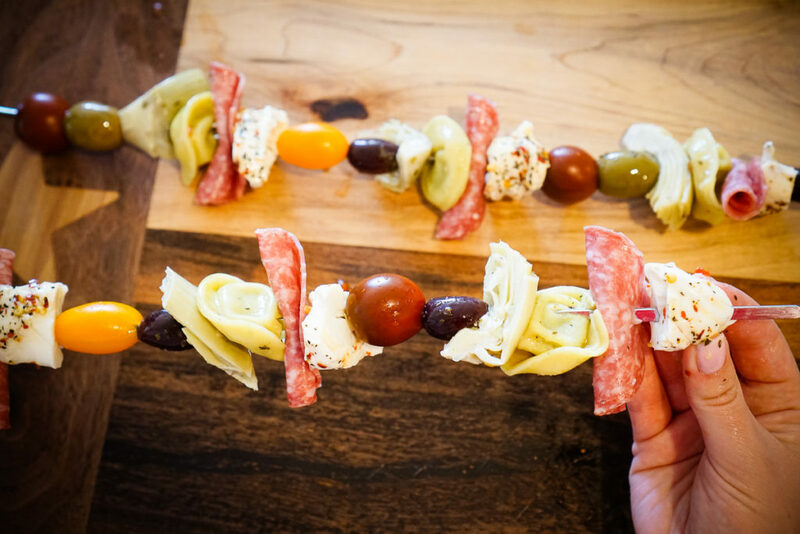 While ingredients like the olives and artichoke hearts can be bought in a jar, we prefer to get them from the antipasto bar. 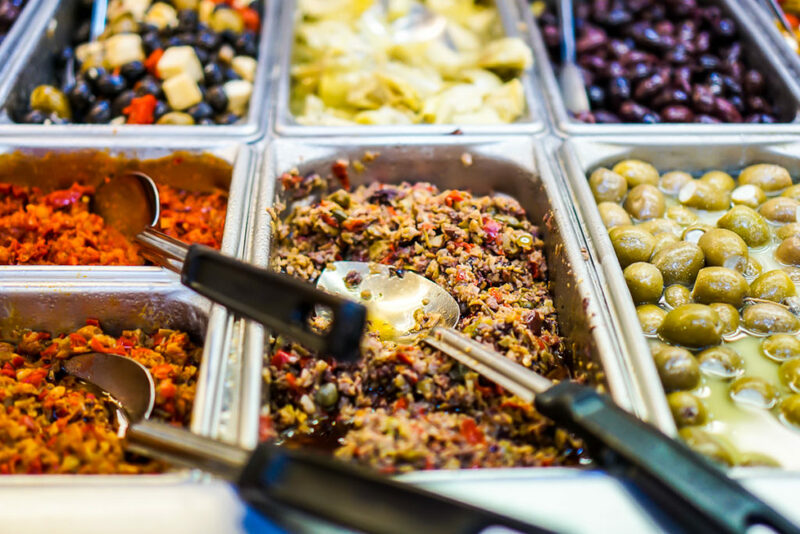 Sprouts has a great antipasto bar with a variety of quality options to choose from. 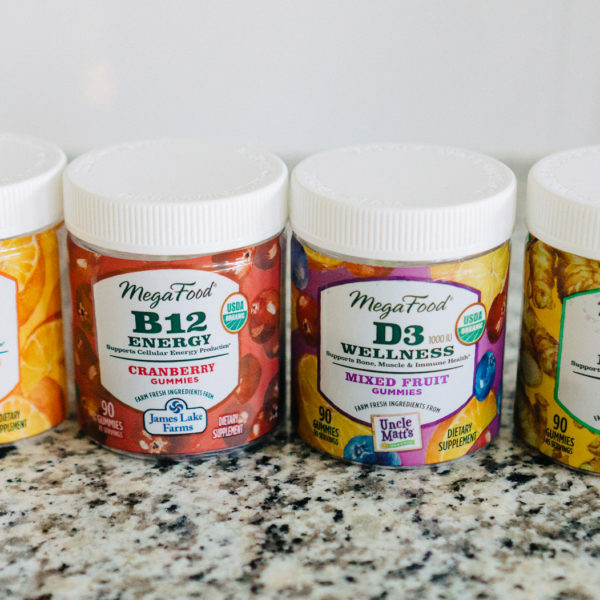 We bought all of the above items at Sprouts Farmers Market. Cook the tortellini according to the instructions on the package. 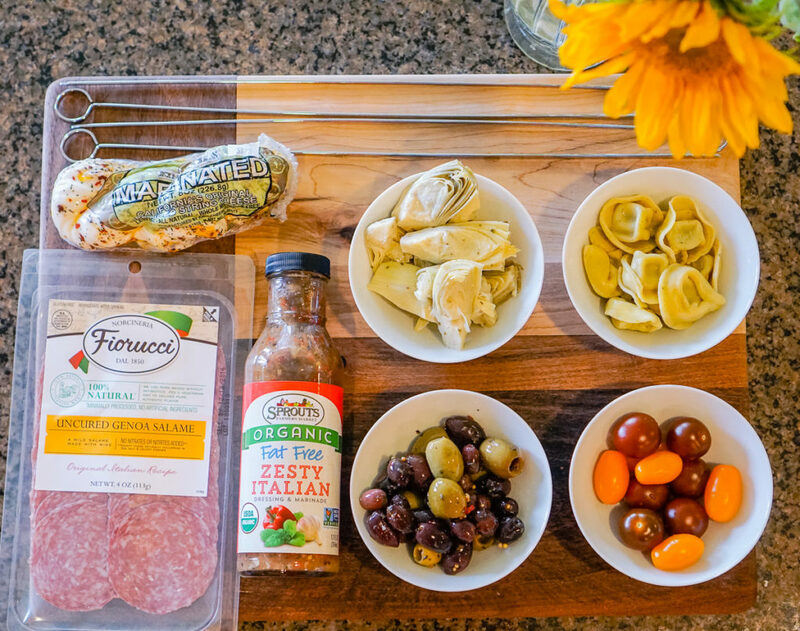 Toss the cooked tortellini with Sprouts Fat Free Zesty Italian Dressing & Marinade for extra flavor. 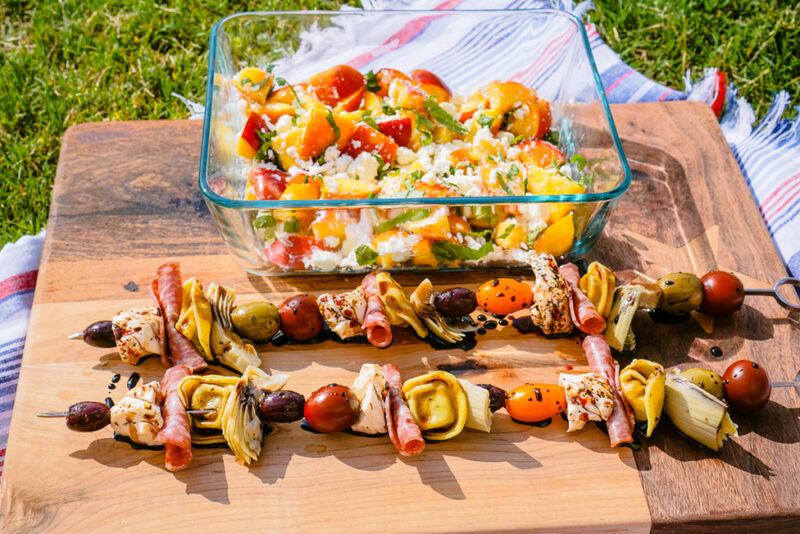 Assemble your skewers in whatever order you prefer, alternating ingredients. 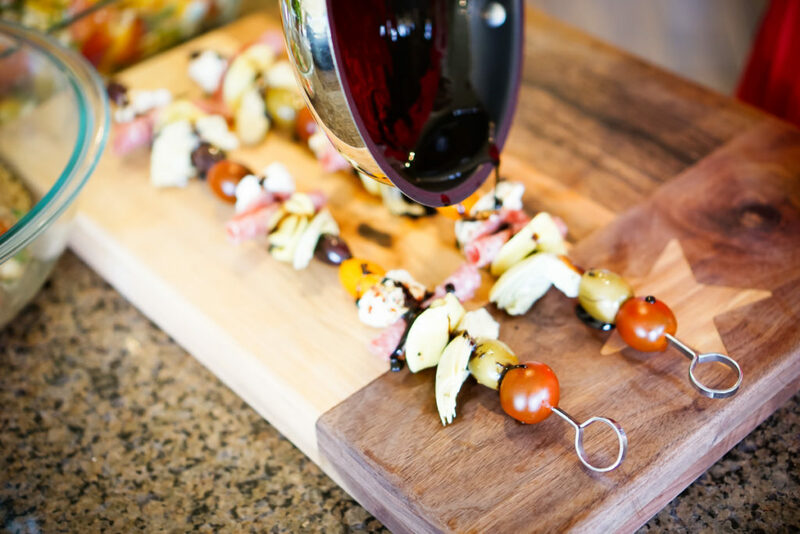 We recommend starting with something sturdy, like a cherry tomato, to create a firm base for the skewer. 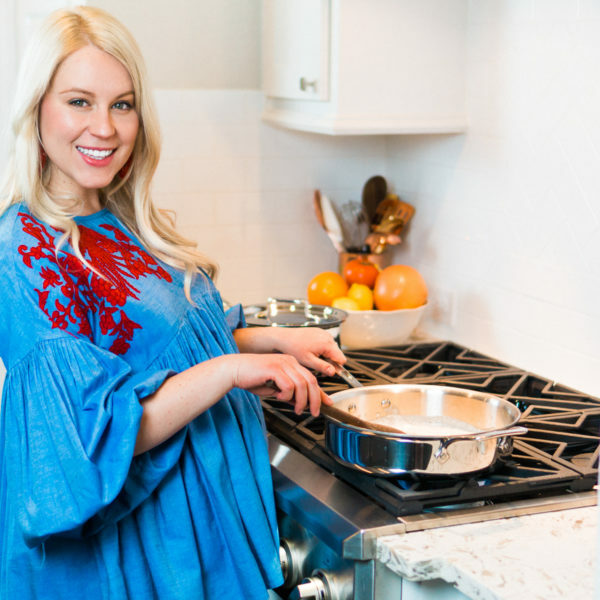 Pour the balsamic vinegar into a nonstick saucepan set on medium-high heat. Bring the balsamic vinegar to a boil – warning: the vinegar smell will be strong! After it comes to a boil, reduce the heat to medium-low and stir occasionally while the balsamic vinegar simmers. Continue to cook the vinegar until it has reduced by at least half – you want it to have the consistency of syrup. 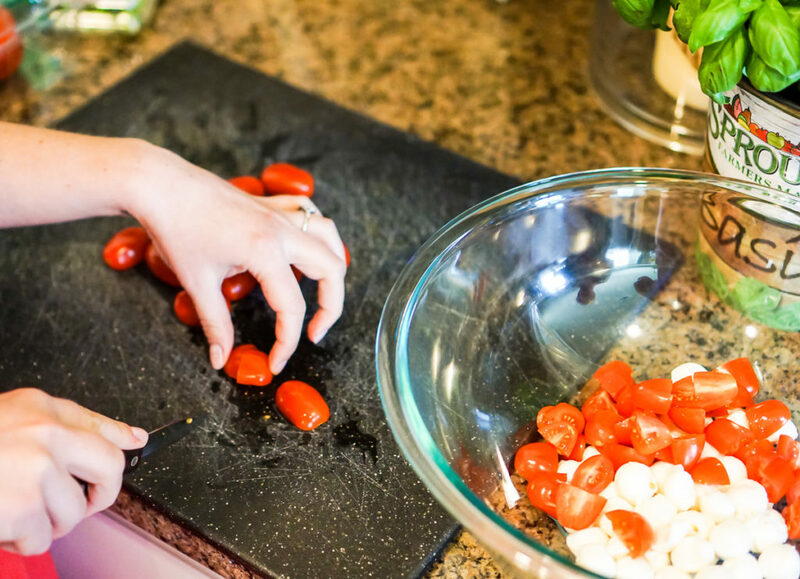 Remove the pan from the heat and allow the vinegar to cool before using. Drizzle the reduction over the skewers. 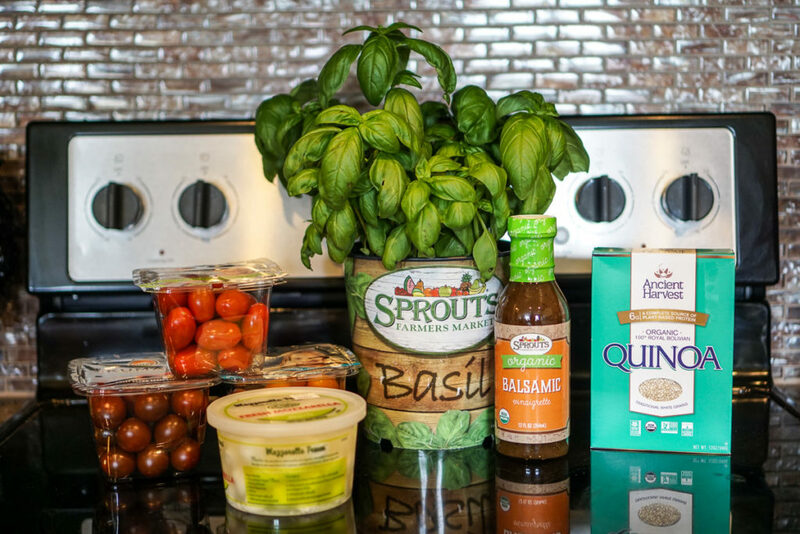 2 bunches Basil – Sprouts Farmers Market basil is some of the best we’ve seen & smelled! Rinse the nectarines and cut them into bite-sized pieces. Rinse the Basil and chiffonade it into thin strips. Place the cut nectarines and basil into a bowl. 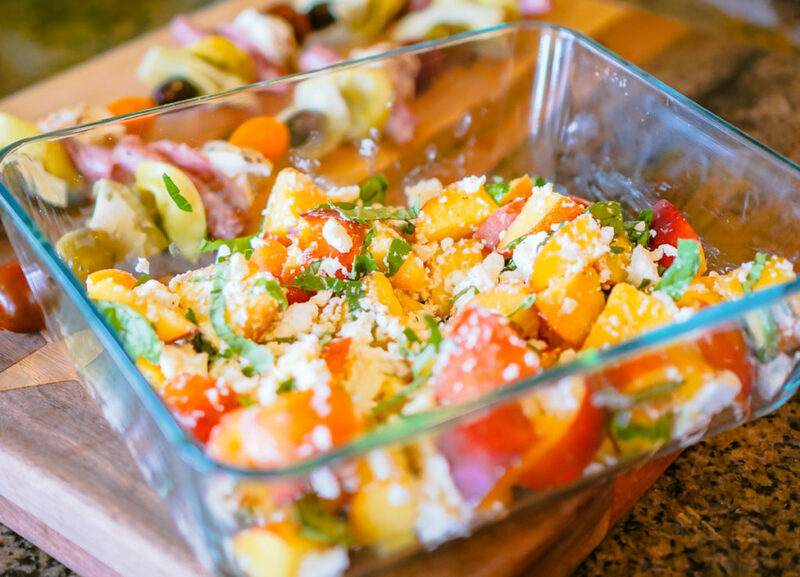 Crumble the feta and sprinkle it over the nectarine basil mixture. You can even drizzle some of the balsamic reduction discussed earlier over this salad for added depth of flavor. 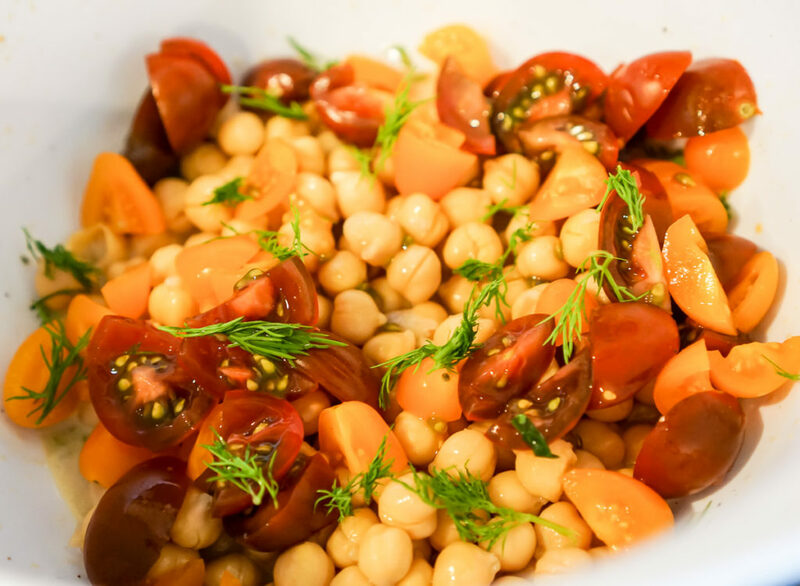 Make the dressing: Whisk the Dijon mustard, honey, lemon zest, and lemon juice in a medium bowl. Slowly whisk in the avocado oil until well blended. Whisk in the dill, parsley, 1/2 teaspoon salt, and pepper to taste. 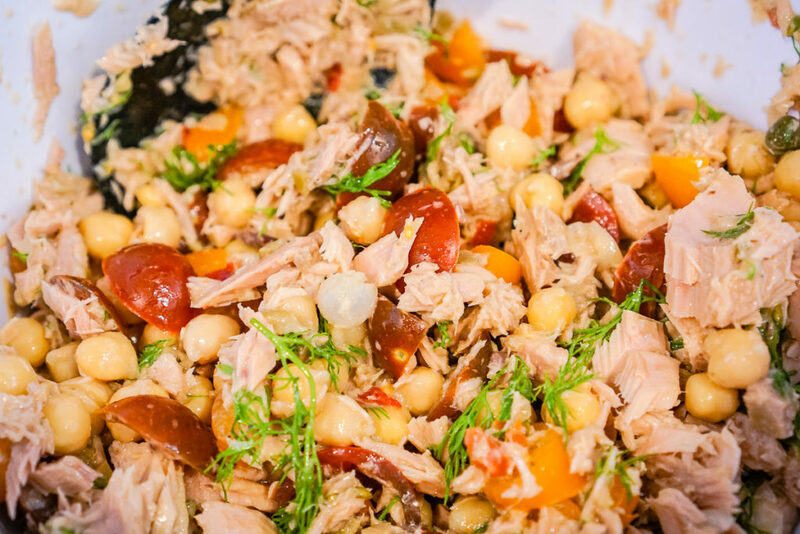 Toss the tuna, chickpeas, 1/4 cup olive tapenade, and tomatoes in the dressing in the same medium bowl. Next, add in the Sprouts Balsamic Vinaigrette. Taste and season according to your preference. 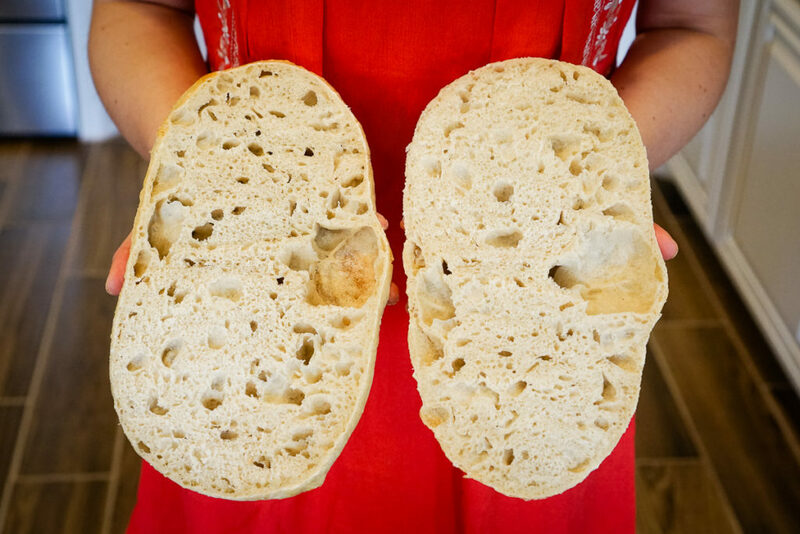 Cut the Italian loaf in half and toast in the oven at 400 degrees for five minutes on each side to give the bread extra crunch. 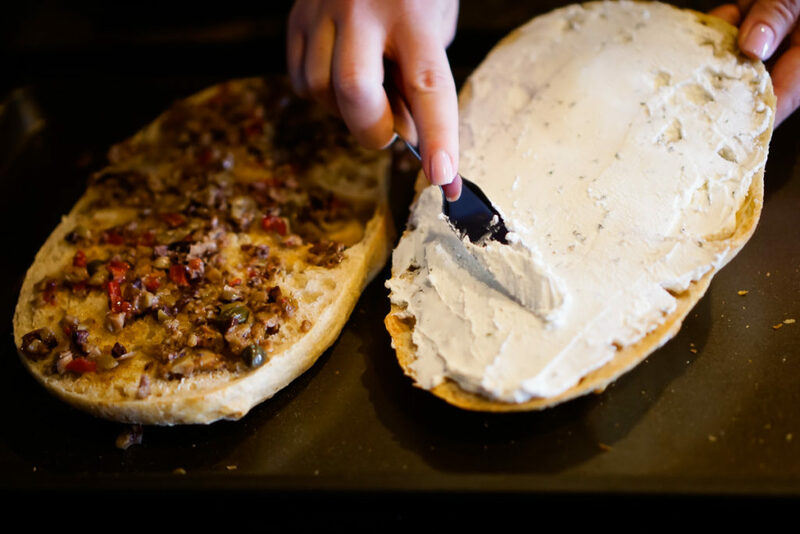 Remove the bread from the oven and spread 1/4 cup olive tapenade on one half of the loaf and the herbed goat cheese on the other. 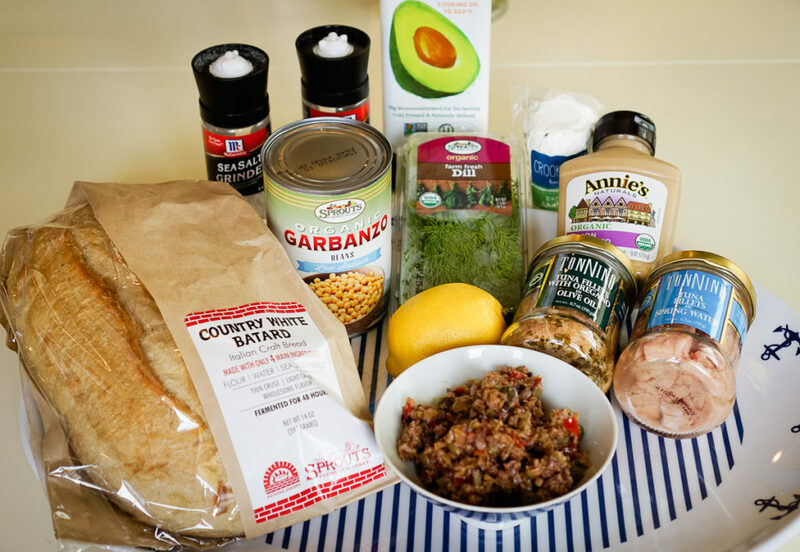 Scoop the tuna salad mixture onto the loaf half with the olive tapenade on it. 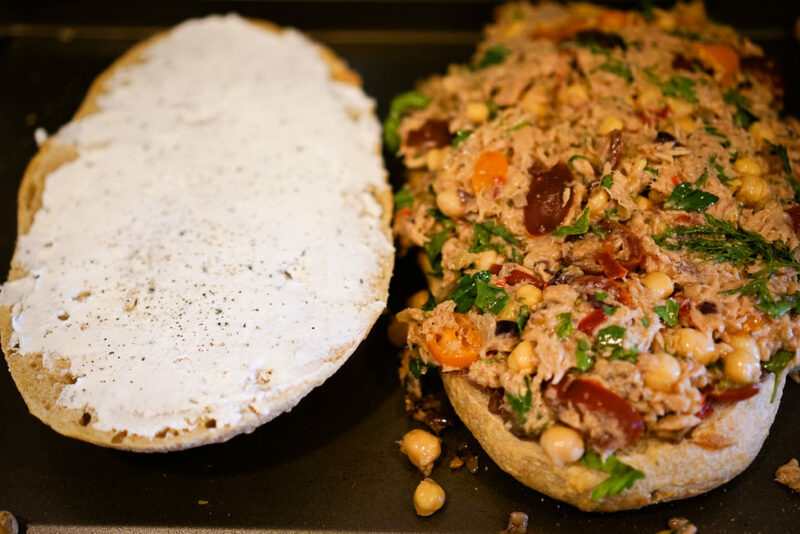 Top with the half of bread slathered with goat cheese. Cut the massive sandwich into six smaller sandwiches. In a saucepan saute a chopped clove of garlic in avocado oil on low to medium heat for 1-2 minutes. 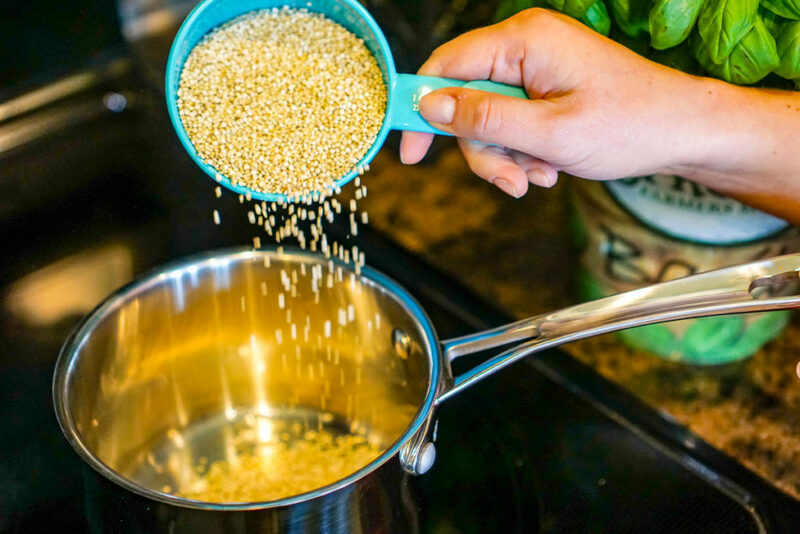 Next pour 1 cup of quinoa into the saucepan and toast for a minute. Stir to combine. Pour in two of 2 cups water, cook quinoa according to package instructions; set aside. 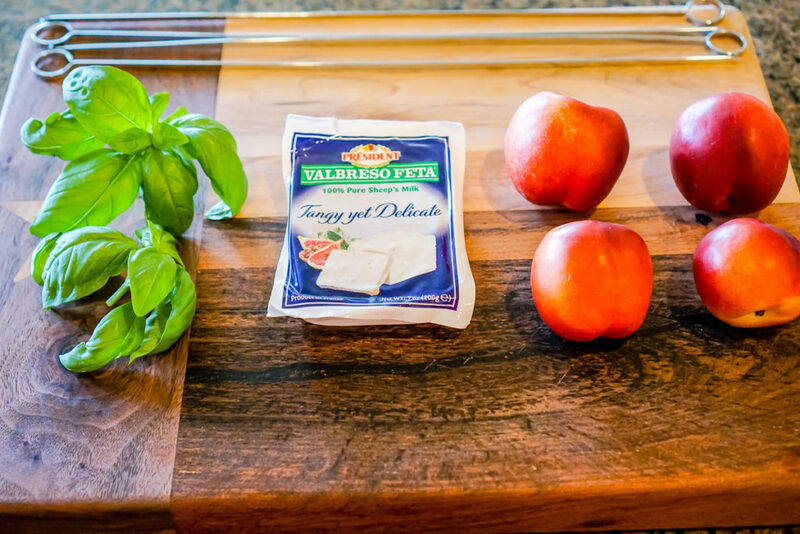 In a large bowl, mix the mini mozzarella balls, cherry tomatoes and basil. Add salt & pepper to taste. 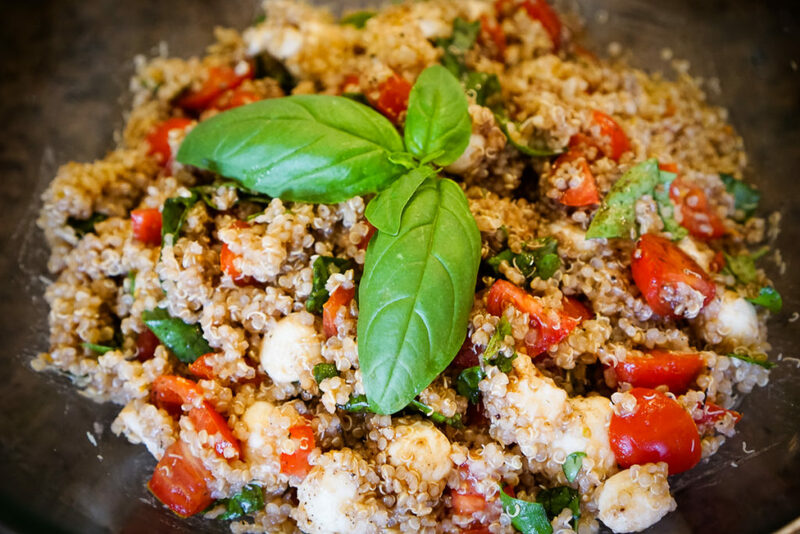 Add the cooked quinoa to the large bowl and stir to combine with the mozzarella, tomato, and basil mixture. 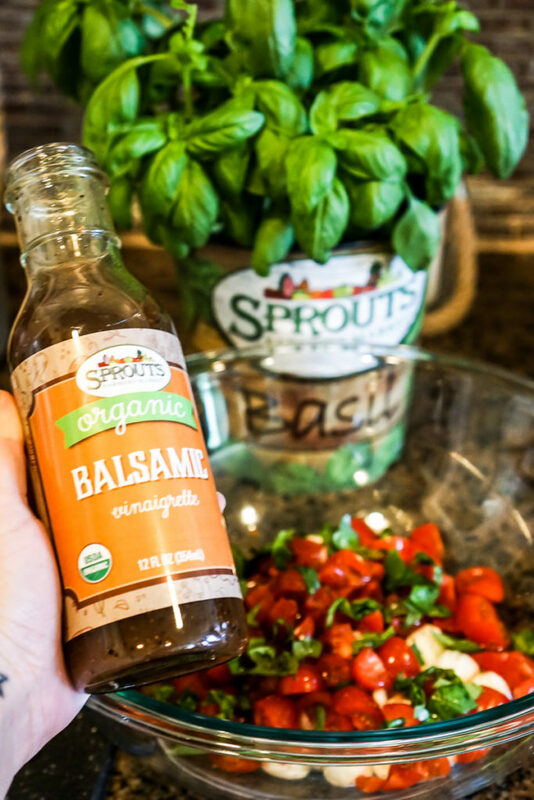 Stir in the Sprouts Balsamic Vinaigrette and season with salt and pepper to taste if needed. 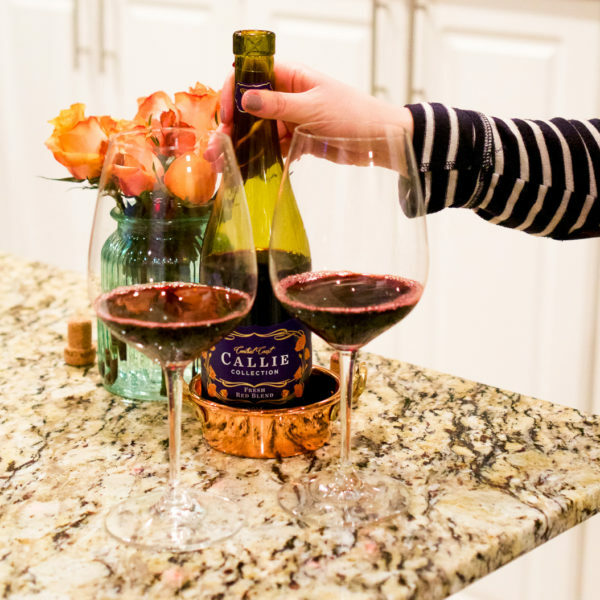 We hope you enjoy these recipes as much as we do! 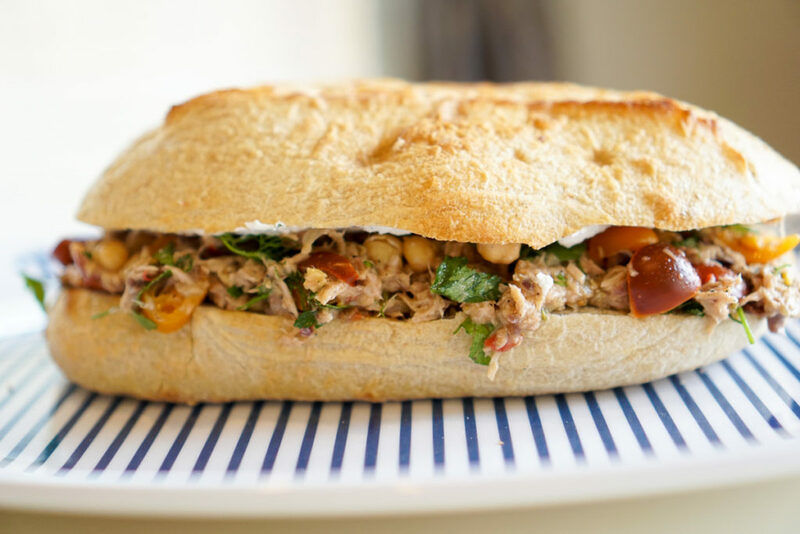 Also, we rarely eat leftovers, but the Rustic Tuna Salad and Quinoa Caprese Salad are delicious served chilled as leftovers the following day! 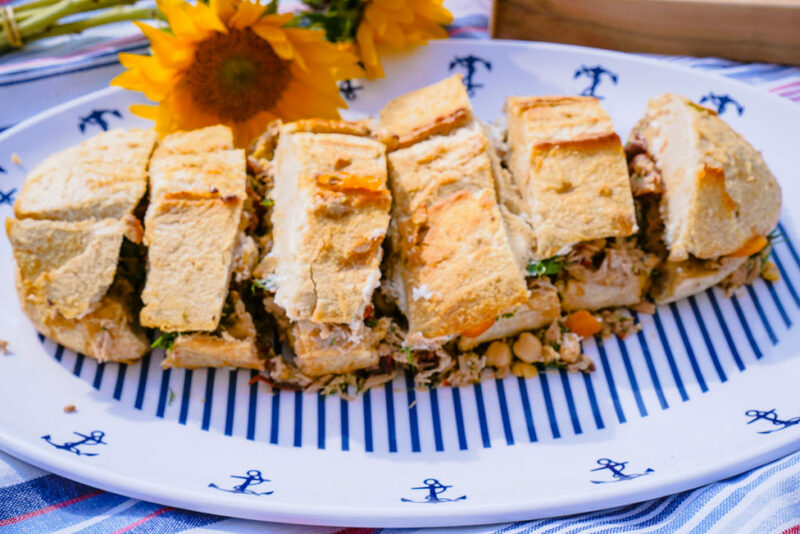 Interested in more healthy and delicious picnic posts? 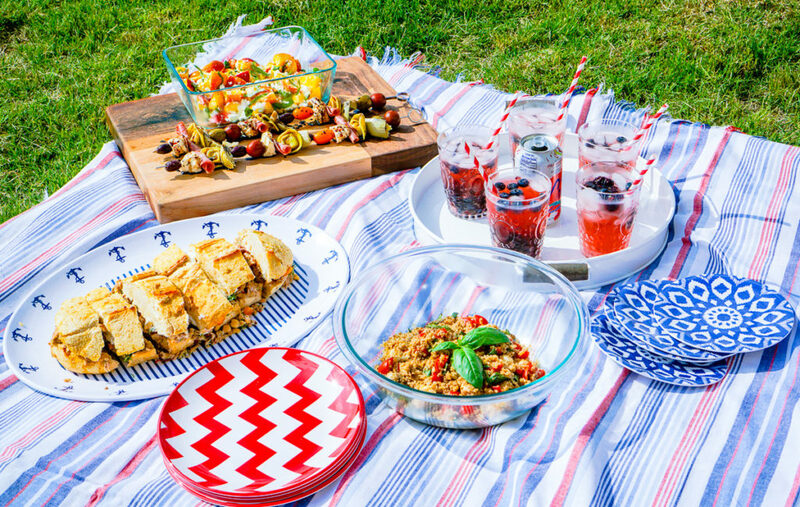 Check out Ladies Healthy Picnic Luncheon. 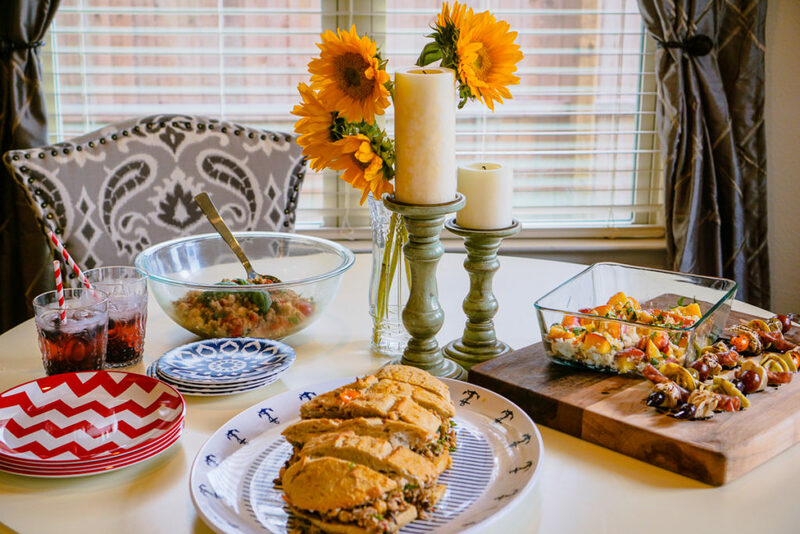 We’d love to hear what some of y’all’s favorite summertime recipes are in the comments below! This post was sponsored by Sprouts Farmers Market. All recipes and opinions are our own. 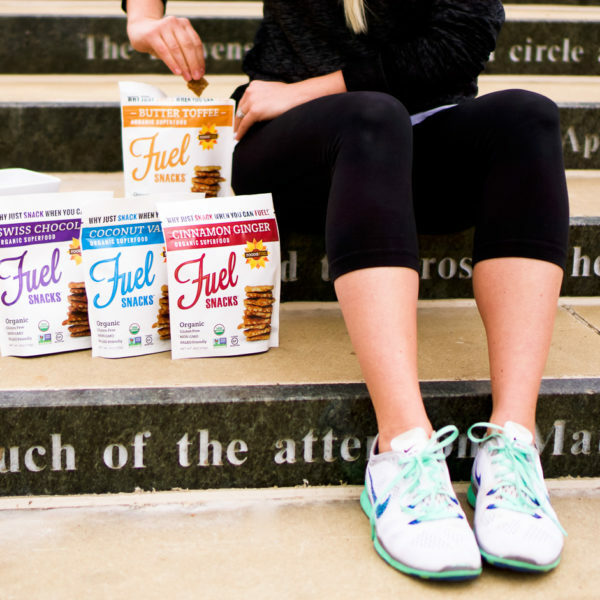 How We Keep Our Energy Up with Foodie Fuel!